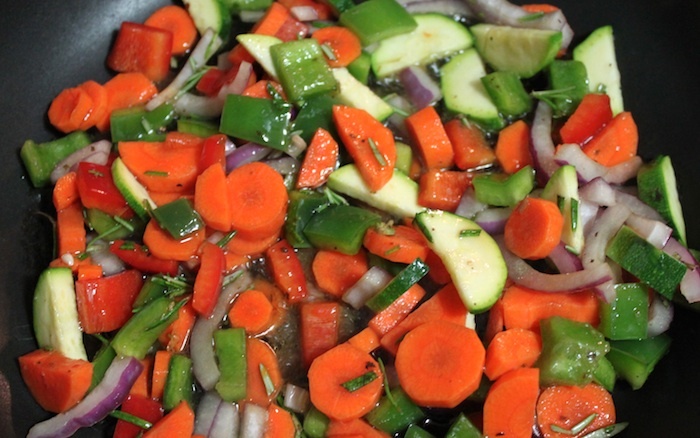 Week Two…Made With Love | Sautéing veggies for this week’s lunch bag feature: homemade hot pockets. What a fantastic shot! Love the way the colors pop. My food fotos never look this appetizing! Those veggies look a-MAZ-ing! I bet they smelled amazing, too! Oh gosh, this looks so delicious!! I can't help but imagine how it smells like.